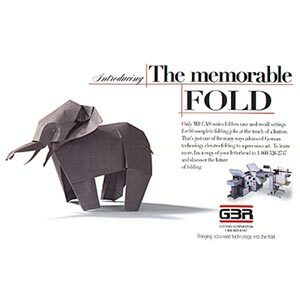 One of a series of four advertisements for a German manufacturer of folding machines (i.e. machines that fold brochures, etc.). This elephant is a two-piece model. I first designed the head, planning to integrate it with the body later. I liked the head so much that I left it, devising a simpler body to go with it.